A postcard is a great way to spread the word about your social! 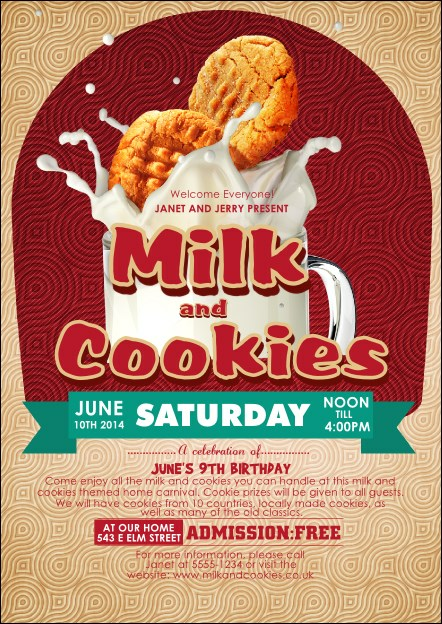 The Milk & Cookies Postcard features a fun picture of cookies splashing in milk, with red text on a soft background. Send to your guest list or leave with participating schools or businesses to find more guests! Send a sweet message with the right postcard from UK Ticket Printing.